While most users on our site are familiar with our community via our previous name, MCPE Hub, we have spent the past year or so working tirelessly on a brand new website with so many new features, and we’ve incorporated Minecraft PC and Minecraft PE communities into our one platform, now known as Minecraft Hub. With this new site, we have taken so much time to integrate some awesome features, great design work, and awesome user outreach methods to call for one of the most epic Minecraft community websites out there. In this blog post, I will be guiding you through the new website, and outlining some of the major differences from the old website. When the “PC” text is overlaid in white color, you are on the PC section of Minecraft Hub. If you’d like to switch to the PE content, simply click “PE” and all your Pocket Edition cravings will be shown. We would like to take this time to state that when submitting content, it’s very important that you submit your content for the correct platform. PC content submitted in the PE section and vice versa is not allowed, and your content will be rejected. We made no change to the way servers, skins, mods, maps, seeds and textures can be viewed on our website. We truly know and understand how much cool content creators can make out there, and we wanted to keep our options the same and allow for the epic content to go live on our website. When our pinger detects that your server has been shown as “Offline” on our website for more than 14 days (2 weeks), it will be automatically marked as rejected on our site, and won’t be visible on the server list anymore. If your server comes back online after that time, it will be shown again on the site. Plenty of users have contacted us letting us know that they don’t like to scroll through tons of offline servers, so we have fixed that problem in Minecraft Hub. Further down the road, we’ll be adding an option for server owners to reping their server manually, and we’ll check again to see if it’s offline. Bare in mind, if you change your server IP or port, you MUST change it on Minecraft Hub ASAP. Our pinger will continue to ping the IP and port you have listed on our website, if you update it, we’ll then ping the correct IP and port combination. Follow function: This feature from MCPE Hub has been moved over and now fully works. Follow users to be notified when they post new content on our site without having to look for it. Following is very simple, and can be done just by clicking a green follow button on the users’ profile. Voting: We added voting back in MCPE Hub, but we’ve now fully integrated and mastered it, making it even better for server owners. If you’d like your server to appear on the first few pages, start using our vote feature and broadcast your server to thousands of more potential players. Likes: Show your love to creator by liking their content. Favorites: If you find a map that you’d like to go back to, you can add it to your favorites. Favorites are also publicly shown on your profile, so if you want to make a cool collection of awesome content for others, you can show them your favorites. Sharing your content: We’ve now integrated fully functional buttons to share your content (link) without hassle to social media platforms including FaceBook and Twitter. 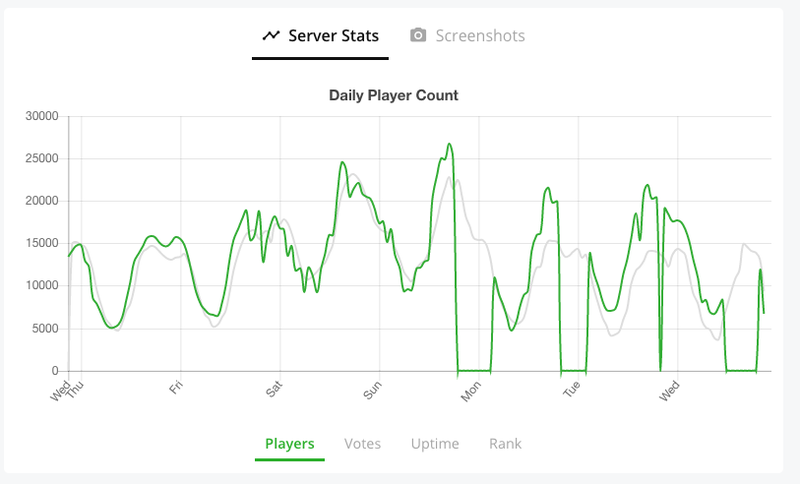 Server statistics: On server pages, you’ll now notice a “Server Statistics” graph, showing a graph of online players, votes, uptime and rank. Comments: You can now directly reply to comments using the reply button, and if you notice a comment that seems out of place, you can report it for our moderation team to have a second look. Emoji’s now work much better on our new site as well in comments, so you can show your emotion with little yellow faces. Reporting: As mentioned above, you can now report comments if you notice a comment out of place, but if you notice something wrong in general with an entire submission, there is a report button available for our moderation team to have a second look at the post. You can also report member profiles as a whole now, if you notice they’re breaking rules across multiple posts. Remember, falsely using the report button will get you banned! 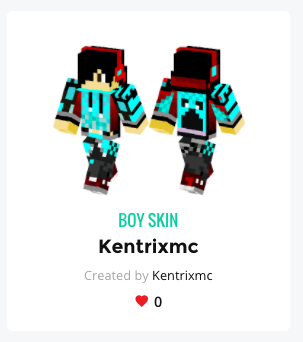 3D Skin Model: On the skins page, we now show a 3D model so you have an idea of what the skin looks like before you download it. Categories: We’ve added a whole load of categories and tags to posts so you can now buckle down your search to specific tags and sub-categories. With this feature, you can save time on our site, and spend more time in-game enjoying yourself. Sort by: We’ve added some better options to sort and filter your content. 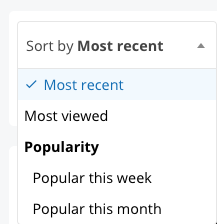 You can now sort in order of most recent, most viewed, and the contents’ popularity by week or by month. 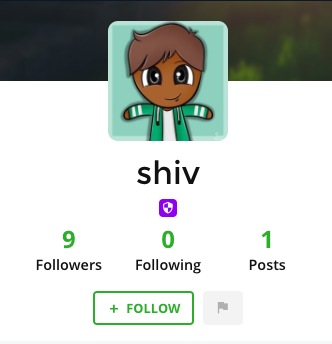 User profiles: When on a users profile, you can now view all the users posts, favorites, followers and who the user follows. You can also see the date the user joined, and the last time the user logged into our site with that account. We hope you enjoy Minecraft Hub!